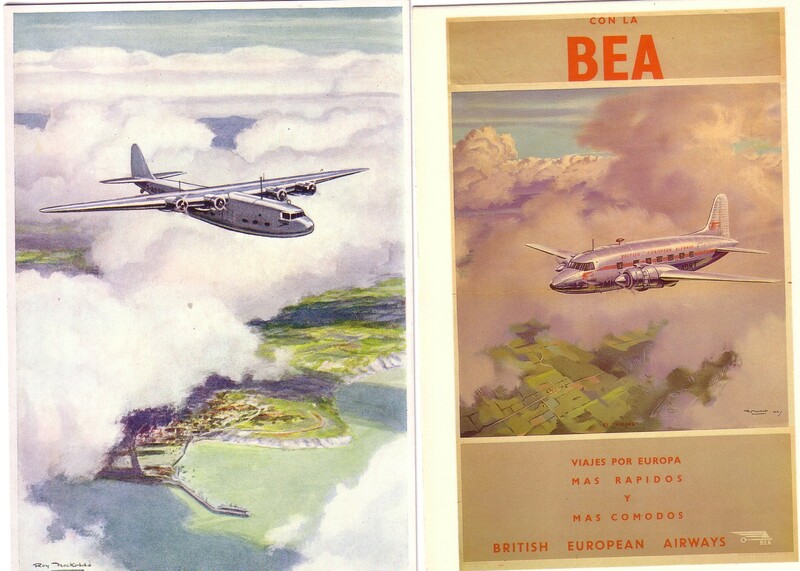 Apart from Howard Leigh a number of British aviation cards exist from identifiable artists. We have previously featured the Salmon (mainly, AFD Bannister) series of, mostly military, cards. (Peter White – June 2002) but there are some others. I have gathered a few facts about some of these (Thanks to Google & www.ww2poster.co.uk) but more info would be welcome. Frank Wooton was a prolific illustrator of the British aviation scene in the 1950s and produced paintings used promotionally by several British companies, notably deHavilland. His first aviation paintings date from his time as a WW2 official RAF war artist. 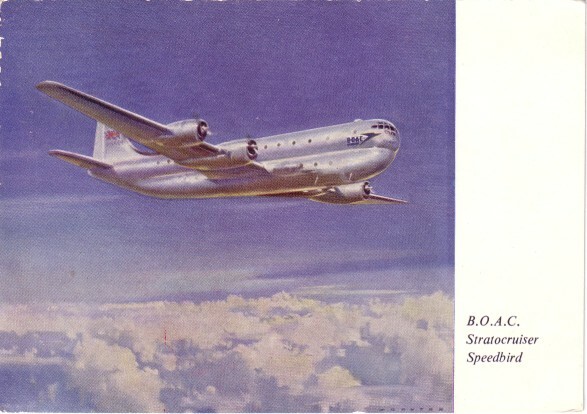 His BOAC paintings were used on cards by both the company and Salmon – the signature can be seen on the BOAC version of the Constellation and Stratocruiser as here in the first bare-metal scheme. He was still active in 2002. C A Garman also did a less convincing Stratocruise for Salmon (5441) in the final colours. 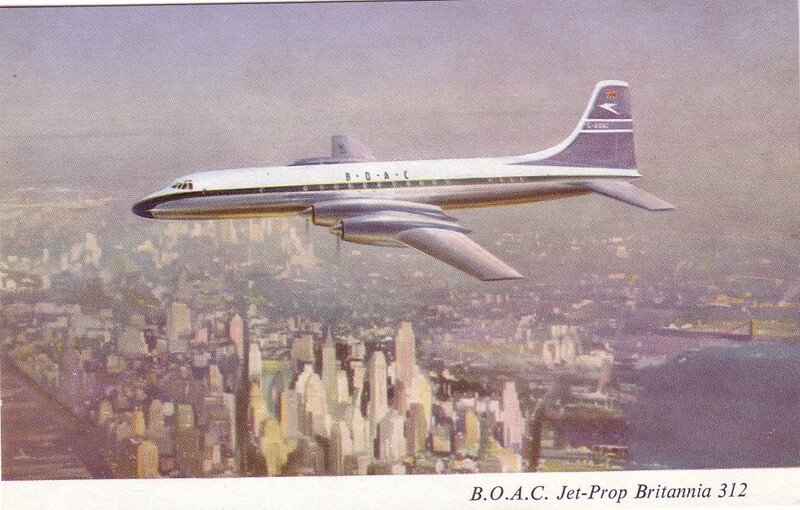 The commonly found BOAC blue-tail cards look as if they also have been by Wooton but are unsigned. This Britannia 312 over New York is well known. Contemporary with Wooton and also an ex-WW2 war artist was Roy Nockolds (1911-1979). It is not clear when his cards of an Imperial Ensign and Empire Boat were originally published for the Medici Society but both are quite common still. This is the Ensign on PC.941. 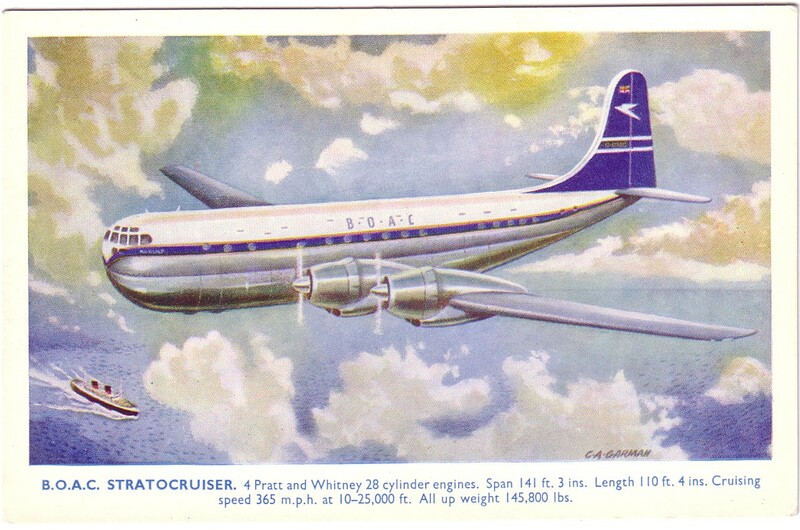 His BEA Viking on a reproduction Spanish Poster was a more recent card by Drumahoe Graphics. The final pre-WW2 Imperial set included cards by Norman Wilkinson(1878-1971) and James Gardner(1908-1995) of an Armstrong Whitworth Ensign and Short Empire respectively. Wilkinson, a renowned poster painter of maritime and railway subjects, also contributed an Empire in flight and an Albatross. Wilkinson achieved fame in WW1 as the inventor of “dazzle” camouflage for ships, while Gardner went on to become overall designer of the Festival of Britain 1951 and of the public decorations for the 1953 Coronation. 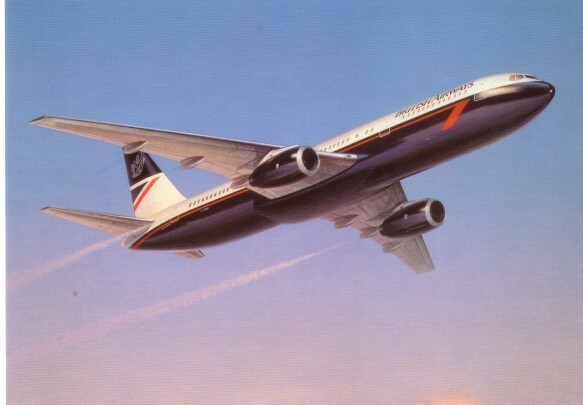 British Airways did a calendar and postcard set of their second colour scheme with paintings by Roy Huxley, who did the artwork for Matchbox kits in 1989. The 767 was issued in both vertical and horizontal formats. 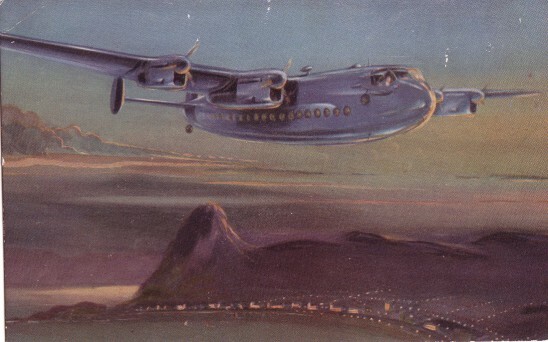 The anonymous British South American Airways official card of a York over Rio could be Wooton but the sky and landscape appear to be too crude. However no British aviation artist has produced any cards quite as crude as those that Victor Trip did for KLM in the 1960’s. He seemed to have a particular problem with the proportions of engines and fins. 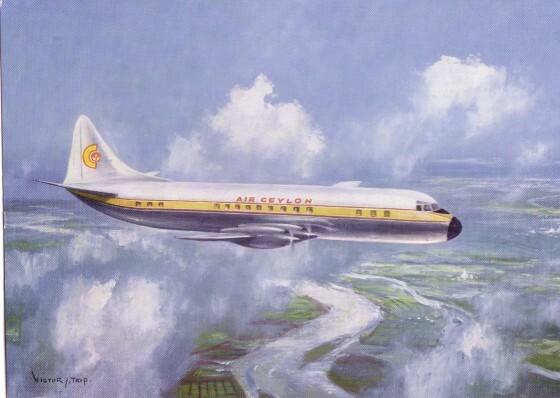 As KLM had an interest in Air Ceylon at the time, they also unfortunately had to suffer one of his misrepresentations of a Lockheed 188 Electra.